Collaboration is strongly driving the research agenda in the life sciences if the evidence of a bunch of recent meetings is anything to go by. However there is the, somewhat ironic, danger of siloed thinking diminishing the impact or efficiency of this novel multi-disciplinary collaborative effort. 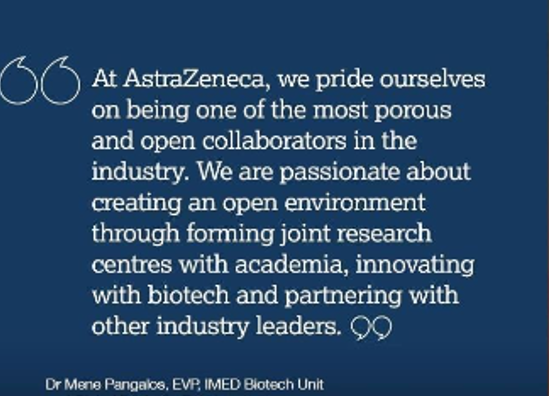 From the Pistoia Alliance Conference, the MedCity/Biomedical Research Centre showcase, through to the OBN/One Nucleus meeting on neurodegenerative diseases and the recent BIA Breakfast briefing, speaker after speaker mentioned the new c word – collaboration not competition is now the way forward in bio-pharma R&D. As Dr Declan Jones, Neuroscience Lead, J&J Innovation said at the third of these meetings “We need to gang up on the problem, not each other”. 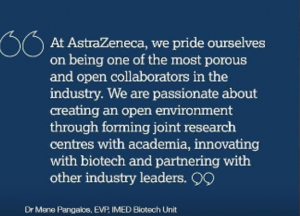 Such collaborative intent is nothing new for bio-pharma. Partnering, alliances, supporting and collaborating with external parties has been critical to drug development in recent times. However there seems to be a strong sense that the time is right for academic, commercial, charity/patient advocacy, government/regulatory and investor institutions to come together to help solve some of the unmet needs across the bio-medical sector. Some of these unmet needs are old, established ‘tough nuts’, like finding treatments for neurodegenerative disorders. Others are far more contemporary and, arguably, of our own making, such as the challenge of scaling-up, scaling-out and achieving equitable patient access to gene therapy. It is also the case that, as the old established ‘blockbuster machine’ R&D model is acknowledged to be failing, then novel partnerships with and acquisitions of or from focused, agile start-ups will fuel the drug pipelines of the future. 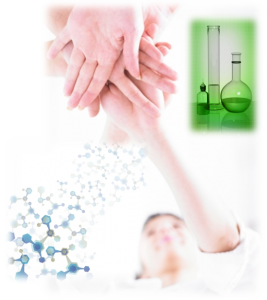 The fact that big pharma has for some years been supporting numerous pre-competitive collaboration initiatives such as The Pistoia Alliance (TransCelerate, IQ Consortium, IMI are just a few of the others) shows the awareness and appetite for change is there. Furthermore, alliances such as the Structural Genomics Consortium, Milner Therapeutics Institute and the Dementia Discovery Fund are forging new ways of thinking about how to better stimulate and manage R&D for new medicines. Harwell Campus, The Crick Institute, Babraham, Alderley Park BioHub and Stevenage Bioscience Catalyst are creating physical spaces for better collaboration and joint working. Groups like MedCity, the Catapults and numerous innovation networks (OBN, One Nucleus, Innovation Forum, etc) are trying and succeeding in bringing the interested parties together through meetings and conferences. Finally, there is even funding available to help drive collaboration from the new Connecting Capabilities Fund in UKRI and the exhortations from the Life Sciences Industrial Strategy also give us impetus for change. Marvellous, it’s all happening then – we can sit back and watch the flow of novel, affordable interventions and medical innovations spring back to life! …there had to be a but didn’t there? To be fair it is only a tiny ‘but’. On the whole, all of the initiatives noted above (and there are many others), will help to drive change for the better. The little niggle I have is that the hoped-for ‘porosity’ mentioned in the quote from AZ is not quite there yet. For a start are the pre-competitive collaboration groups collaborating with each other? At a recent meeting I was discussing Pistoia and PFMD with a key player in this space who had never heard of either. They got their own back by telling me about ADOPT, which was a new one on me! But this anecdote illustrates my niggle. Are the collaborative groups maybe operating in silos? Is our desire to hit so many different challenges from so many different angles narrowing the focus too much? Is it just possible that there might be some redundancy of effort or missed opportunities for complementary and/or synergistic projects? Without awareness of each other’s mission and activity (or even existence) that just might be the case. It is my wholehearted hope that the first step towards better collaboration across this multitude of projects and programmes lies in connecting them. To that end Astrocyte are looking to develop a ‘collaboration engine’ which will make it easy for interested parties to find out what is going on and how they can better work together, or at least learn from each other and avoid replication. The energy within, receptivity towards and potential innovation dividend from this renewed and re-invigorated approach to collaboration demand that all the key players work together now.